Tumbling or vibratory grinding is a divisive manufacturing processes for surface and edge processing of usually metallic workpieces. The workpieces are put together with abrasive particles (grinding stones), water and various chemical additives as bulk material in a container. Through an oscillating or rotating movement of the working container a relative motion between the workpiece and grinding body is created, causing material is removed, especially at the edges. The surface quality of the components, the roughness, the material removal and the deburring performance achieved by the machines varies greatly with the addition of different abrasives, additives and processes which we can match to your needs. With vibratory grinding we can reach 0.1 to 0.01 Ra and Rz surface qualities. This deburring process is very cost-effective, as we can process high component quantities with our modern grinding machines. Varied amounts of material gently removed, defined surfaces and edges for every component can be achieved. 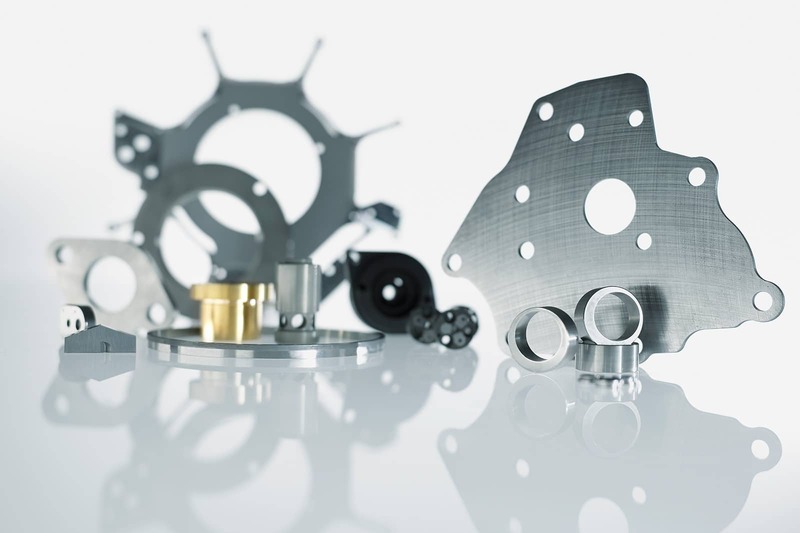 We can therefore develop a customized process for each component and work with anything from from single parts to large-scale series production. 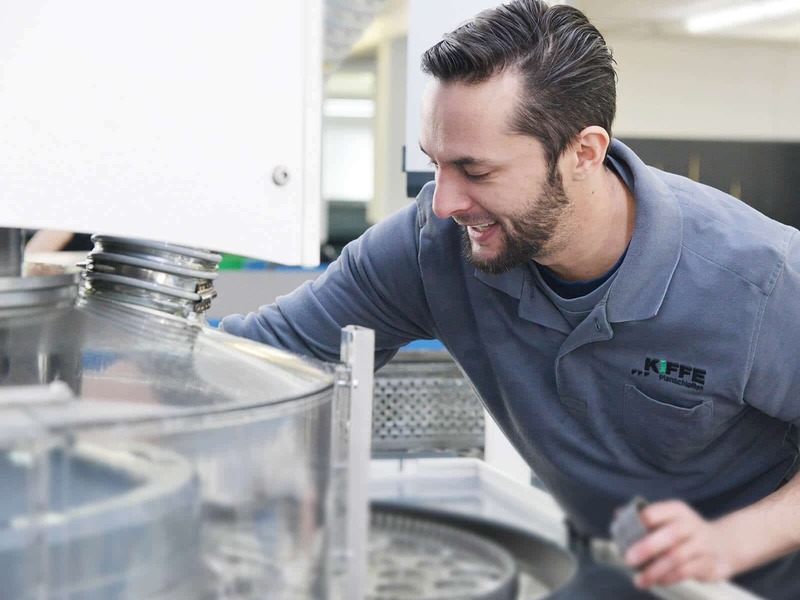 Vibratory polishing, abrasive belt grinding and brush deburring – each of these manufacturing techniques is used to remove any burrs created by surface processing for technical components. 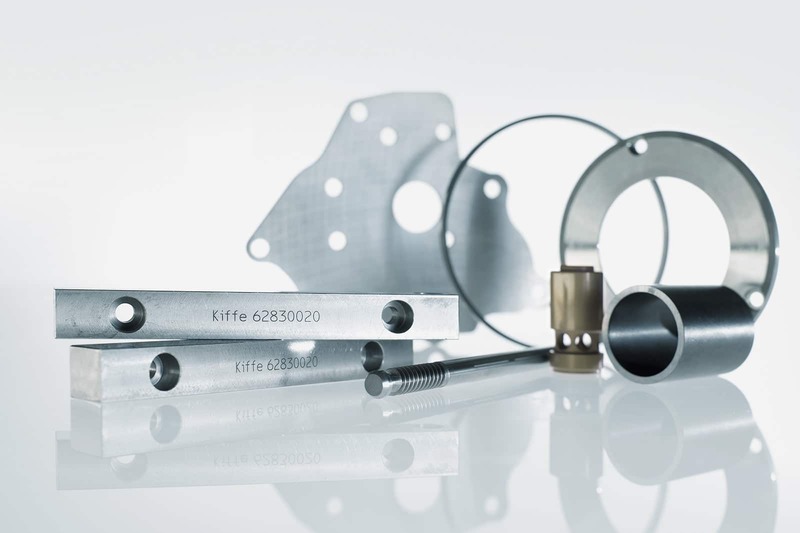 We can offer whichever of these processes are best suited for your components and needs, thanks to years of experience and continuous further development of our skills. We can machine the surfaces of almost any material with our grinding, polishing and edge rounding processes.